A month after being ranked the most emotionless country in the world, Singapore now has another unwanted title to its name – the least positive country. According to a Gallup poll released on Wednesday – the same poll that ranked countries with the most and least emotions – residents of Singapore are the least likely to feel positive alongside war torn countries such as Iraq and Armenia. The well respected polling company measured positive emotions by asking 1,000 people in each of 148 countries five questions such as whether they experienced a lot of enjoyment the day before the survey and whether they felt respected, well-rested, laughed and smiled a lot, and did or learned something interesting. Singapore, which ranks fifth in the world in terms of GDP per capita, is known to be an orderly city-state and is among the most developed in the world. 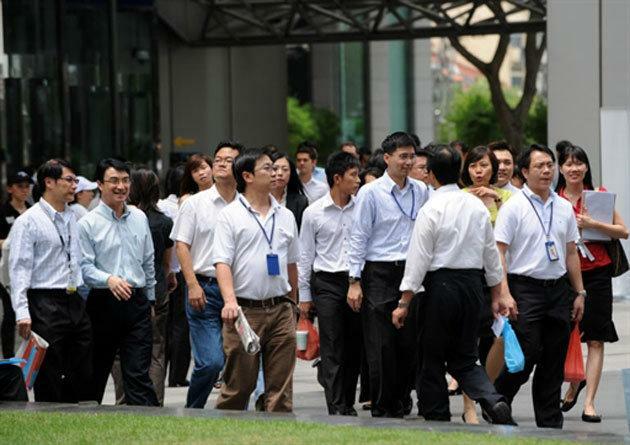 Some Singaporeans believe success has came at a price as work pressure, competition, rising cost of living and the recent influx of foreigners have caused a sense of unhappiness among its people. Jonathan Lee, 31, a Singaporean banker, said, “I am not surprised by the ranking. Singapore is likened to a powerful machine with its people working hard to make it work – at the expense of their own happiness. “The competitive culture, work pressure and rising cost of living in Singapore gives us little reason to be positive,” he added. Ulynn Lee, 26, a senior public relations executive, said, “I wouldn't agree entirely with the poll but I wasn’t surprised by the results. It shows that a strong economy and even good income might not guarantee positivity or even happiness. “While Singapore’s economy is doing well, it also means the rise in cost of living and working hours are increasing,” she added. Joshua Tan, 26, a digital strategist, said, “The reason why we are not positive is because we Singaporeans have much more to lose than the rest of the countries. “We find ourselves worrying and fearing for our future instead of looking ahead in hope. There’s always this mentality of ‘What will happen if I fail?’” he added. Jon Clifton, a partner at Gallup, has urged developed societies such as Singapore not to neglect the people’s well-being for economic success. On the opposite end, Latin Americans are the most positive people in the world, with their region being home to eight of the top 10 countries for positive emotions worldwide. Panama is the most positive country with Paraguay coming in second while Thailand and Philippines came in sixth and eighth, respectively.